As of June 21, Northern Ireland’s Rory McIlroy is the No. 1 ranked golfer in the world. So far in 2015 — in eight events played — the 26-year-old has six top 10 finishes and two wins. He’s a juggernaut; an absolute beast. He’s Nike’s golden boy, the current face of the sport, and a four-time majors winner. Not since the glory days of Tiger Woods has there been a player on tour who you expect to be at the top of the leaderboard during each and every event. But that’s who McIlroy’s become. But even with all the praise and accolades, success and rankings, this European is not the best golfer on the planet. Not right now, anyway. That honor belongs to a 21-year-old from Texas who continues to play with a composure well beyond his years. A kid who, regardless of the stage or conditions, manages to block out the noise, stay within himself, and get it done. And with his victory on Sunday at the 2015 U.S. Open — at Chambers Bay — there shouldn’t be any doubt that at this moment in time, Jordan Spieth is the top golfer in the world. Anyone who refutes this statement hasn’t been watching lately. Because what this young man has done so far this season, is beyond impressive. It’s historic. There’s an argument to be made that Spieth didn’t win this major, so much as Dustin Johnson gave it away. After all, if Johnson doesn’t three-put on 18, then the kid is never in a position to sink a birder for the win. But don’t forget there was a moment — after grabbing a three-stroke lead following a birdie on 16 — when it appeared this tournament was Spieth’s for the taking. However, once he double-bogeyed the next hole, all bets were off. Yet, he never got frazzled; never lost his cool. He regrouped. And now finds himself the owner of two major championships before his 22nd birthday. 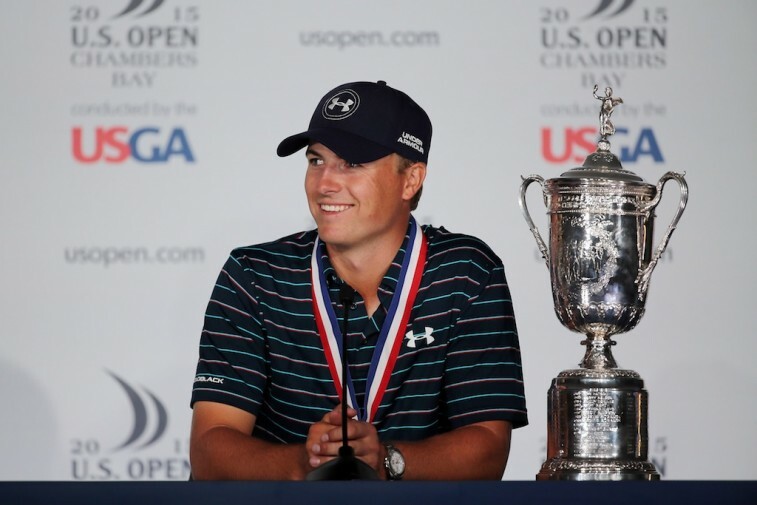 “I’m still in shock,” Spieth said with the gleaming U.S. Open trophy at his side. “I’ve never experienced a feeling like this. It was a very intense back nine.” Intense, sure. That still didn’t stop Spieth from shooting a 1-under 69 in the final round, finishing with a 5-under 275 for the tournament, and capturing his second straight major this season. 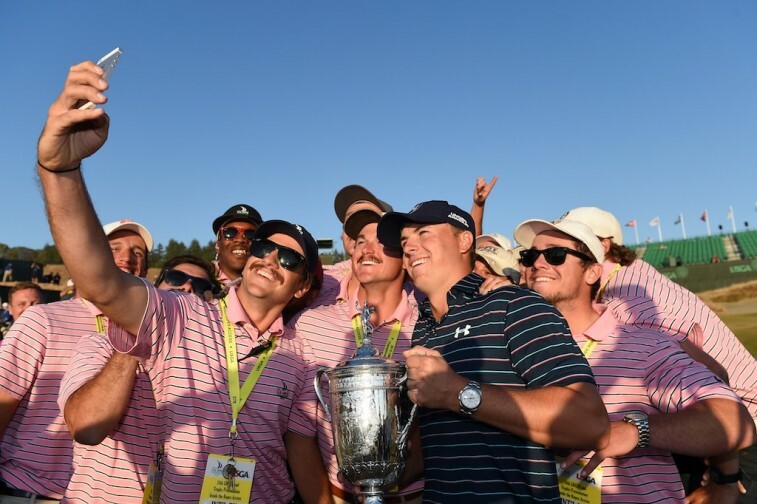 What Spieth did at Augusta National was inspiring. What he did at the U.S. Open was courageous. The conditions at Chambers Bay were far from ideal; especially on the greens. He overcame all that to become the youngest player in history to win the Masters and the U.S. Open in the same year. Now he’s halfway home to winning the Grand Slam. Some even believe he has the chops to do it. Four majors in one year. Could you imagine that? It’s never been done before. It’s seems improbable to think that anyone could actually do it. 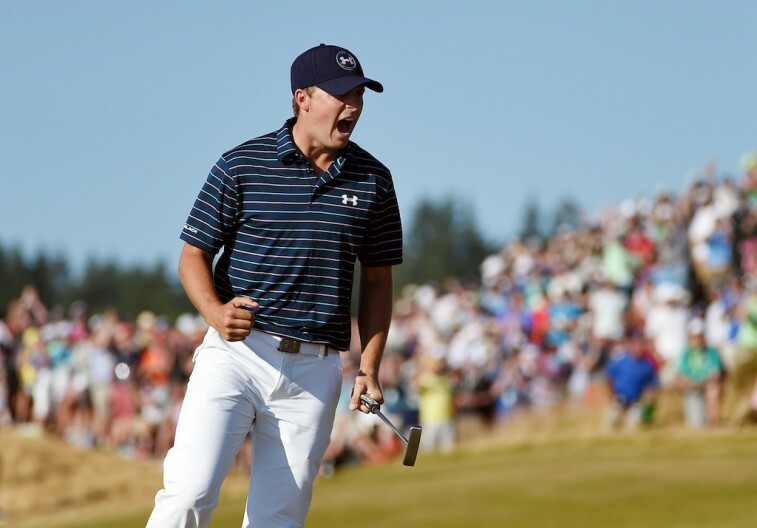 But Spieth has proved himself more than capable. It’s hard to bet against a guy like that. We probably shouldn’t get ahead of ourselves. Not since Ben Hogan in 1953 has a player won the first three consecutive majors during the same year. Plus, Spieth can’t go for four in a row if he doesn’t take home The Open Championship at St. Andrews. Therefore, we’ll just have to wait and see if the 21-year-old can make that happen. Right now, though, we should savor the moment. You have to believe that’s what Jordan Spieth is doing. After all, it’s not every day you become the best golfer in the world. All statistics are courtesy of PGATOUR.COM, ESPN.go.com, and ESPN Stats & Information.